This traditional pub is known for its warm atmosphere and great staff, and the spacious newly revamped beer garden with a heated smoking shelter and a barbecue is a real suntrap through the afternoons. For those wishing to stay a little longer, the pub also boasts three lovely en-suite letting rooms, furnished in a contemporary style, and all with flat screen TV, wifi and tea/coffee making facilities, available at very reasonable room only rates. 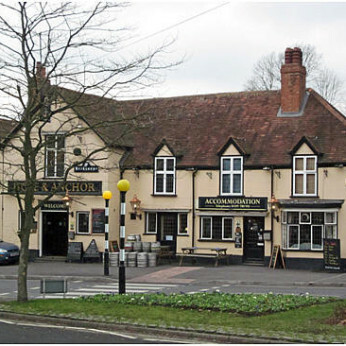 With a great location just two minute’s walk from Wokingham station, the pub is ideally situated for easy access to London, either direct to Waterloo or via Reading to Paddington, and is just a few minutes walk from the centre of town.